Which is why I decided to start a fun and creative business to promote this. A little way of encouraging people who are alone, struggling in silence. Mental health awareness has a tendency to be quite doom and gloom. 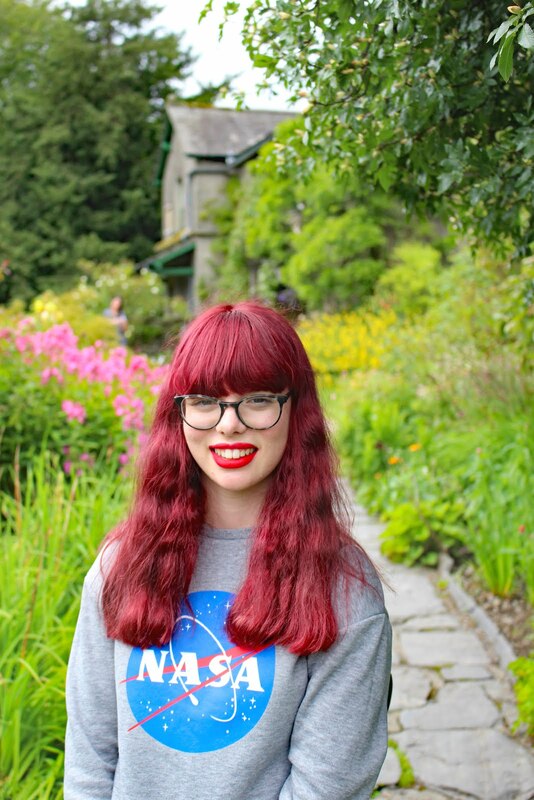 I've written my fair share of sad and emotional posts on mental health. But this doesn't have to be the only way to spread awareness. There are lots of people who still don't feel comfortable talking about mental health honestly and openly. I completely understand why. A stigma around mental illness still exists. There are people out there who think taking antidepressants makes you weak or if you self-harm you are attention seeking. Why would anyone open up about their own struggles with mental illness to one of these kinds of people? Of course, you wouldn't. For every one person that doesn't understand there are at least two individuals who do. Which is kind of the motivation behind the stickers I design. It can be easy to think you are alone and it can be even harder to find someone you trust to talk about your difficulties. 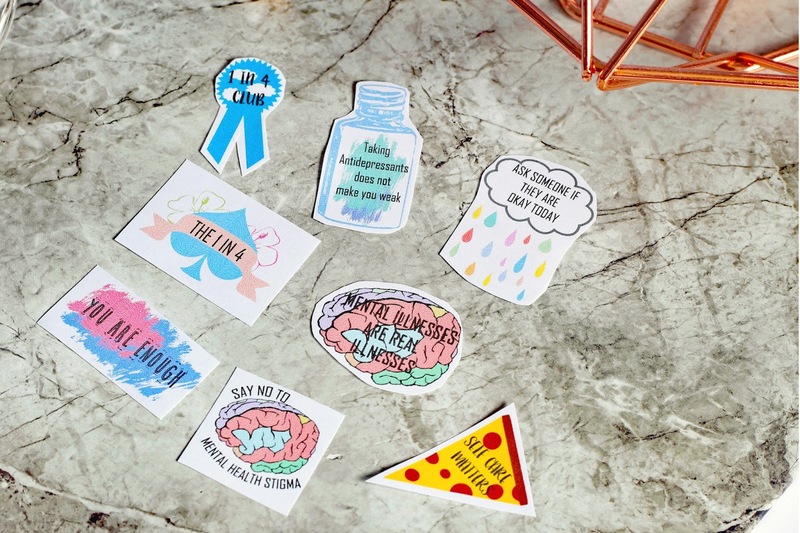 If I saw someone with one of the mental health awareness stickers on their laptop, notebook or folder it would give me that little bit of encouragement. I know I'm not alone and there are people who around me who understand. Who get it. That's what I want people to do with the stickers. Put them on your laptop, notebooks or even wear them with pride to show people you are not ashamed of struggling with a mental illness. In addition to the fact, you also care about others who may be struggling with their mental health. You are acknowledging mental illness is just as real as physical health. In a way, you are giving them a thumbs up of encouragement to keep going. Not everyone in society will have the same perspective on mental health. Not everyone will want to help or listen to your problems. Unfortunately, all the awareness in the world won't be able to change these individuals opinions. However, by doing what I do, I aim to change as many people's perspectives on mental health as possible. Some individuals in society are part of hard to reach groups whereby they aren't part of this very open online community and are often more reluctant to talk about their mental health. This is where creative, out of the box thinking and ideas are needed. Raising awareness is one thing, but if you can't reach everyone in society, the impact will never be as great as it could be. That's what Beautiful Minds shop and magazine aims to do. Reach everyone from all backgrounds, ethnic and other minority groups within society. After all, we are the 1 in 4. 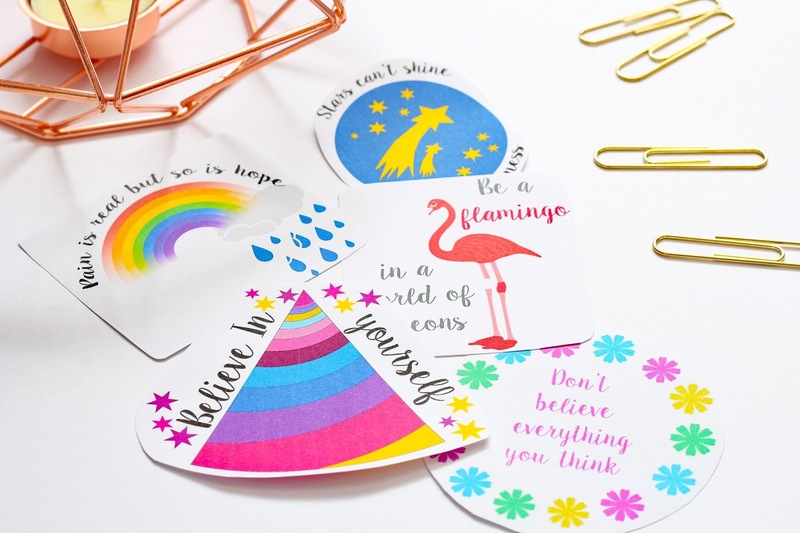 This post has pretty much a big ramble but also a cheeky little plug for you to go and check out the beautiful Minds shop. I work my bum off every single day to manage the orders, admin and coming up with new designs. But I'll tell you something, it's worth it. I like to think of myself as one of the key voices for a change in mental health attitudes in 2017. All the sweat blood and tears are worth it. Knowing that I've had a positive contribution to changing the attitudes and reducing the stigma around mental illness, makes me feel great. But more so, I feel delighted for the people I've helped. Who have read a post I wrote or taken some of my tips I have shared and felt more comfortable or able to seek help. Everyone deserves to be treated with respect. Every single person. If you find the courage to tell someone about their mental health problems or go to the doctor to get the professional help, you shouldn't be scared that your very real problems will be laughed at or dismissed. You should have confidence in the fact you know you will receive proper support delivered in an understanding and compassionate way. Most people are aware of the mental health epidemic we have in this country. Yet access and availability to mental health services are still shockingly bad. I firmly believe that by carrying on campaigning and raising awareness of the stigma that surrounds mental health and just how much more money is needed to be invested in the mental health services, we can make a difference. Once upon a time, it was accepted by society to be homophobic or racist. Although some individuals, attitudes are harder to change. When I'm old, I really hope my grandchildren don't face stigma if they struggle with their mental health. Access to mental health services will be just as good as care for ill physical health. Most importantly it's seen as unacceptable to discriminate against those with a mental illness. To achieve this, we have to keep going. Raising awareness and campaigning. After all, we all have beautiful Minds. You can check out my Etsy shop here and follow us on Twitter here for latest updates, news and competitions.